Royalty-free media is an affordable way to sell your products or services without a big budget for a photo shoot. Compelling images make your brochure or website homepage stand out from your competitors. Based on photo search trends, Shutterstock (one of our top picks) predicts that 2019 will be the year of neon colors, a blast from the past with 80’s patterns, and more eco-friendly imagery. Depending upon the type of media you are looking for (photos, illustrations, vector art, audio, video) and the usage license you require (print, digital, commercial), we’ll help you find the best stock photo website to meet your needs. Before getting started, you’ll want to know the basics of stock photography so you’re purchasing the type you need for your project. Stock photos give you the rights to use for your company or business for commercial use and ownership of other people’s creative content. It is important to understand each type of license offered for image or other media use in order to avoid the potential of a legal case being brought against you or your business. Most large stock photography companies have detailed information available on their websites. Rights-Managed – a copyright license to purchase a photo for a specific, one-time use. Addition licenses need to be purchased if intended on multiple uses (can be exclusive meaning no one else can use the photo). Digital media is any type of media that is used on computers, websites, blogs, etc. The images you see on websites are considered digital media as well as the audio or video tracks. Digital media files do not need to be as high resolution since they will be optimized for web and you might find yourself needing a lot more digital media files to use throughout your site so a subscription plan might be best in this case. Traditional media is media that is printed in publications, used outdoors or on television. You see them every day from magazine ads to TV commercials. Anything that uses visuals or audio in a commercial form must be purchased or have the original rights to. Often, depending on if people or places are involved, there might be a time limit or renewal fees so the models, artists and creators can continue to get fairly compensated. You might require higher resolution photos for traditional media which is why they might cost you more but the quality is much better. Here are our top picks for best digital media sites. BigStock is an affordable stock image service that specializes in images and illustrations. Their straightforward, inexpensive pricing model paired with a wide range of images to meet most digital marketing needs makes it the go-to location for the best stock photos for online use. Our experience with their customer service department has been top-notch. However, if you are looking for vector images, you will definitely pay more here so you may want to look to another company. Image credits start at $35 for 10 images up to $495 for 500 images. Subscriptions start at $79 per month for 5 images a day and go up from there depending on the number of photos and how frequently you download. Ongoing: our readers have access to 5 free credits with promo code SPC6 (if that doesn't work, try DIGIX210). 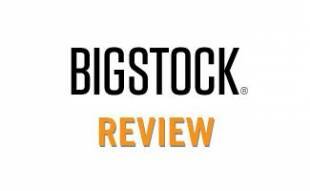 Seasonal: Bigstock is offering 15% off your first month for any subscription. Click here take advantage of these offers! Depositphotos is a relatively new company with an affordable pricing structure. Their excellent selection of media is available for one of the lowest per image costs around. That being said, we do not find their current library robust or easily searched, so it may be difficult to find what you are looking for. But, if you can find the right image for you, the price will be good and they, have a nice user feedback option so that you can learn more about others’ experiences with a particular artist/photographer before buying or to guide your image search further. They offer images and video, but no audio. They have a good selection at one of the lower per image costs around, with low-resolution photos starting at around $1. Get 10% off Depositphotos subscriptions with coupon code OS0290048 via our link. iStock is run by the highly reputable Getty Images (our #1 pick for traditional stock photography, see below). Graphic designers and small advertising agencies find iStock to be a great resource due to their low prices, affordable subscription plan, image variety and versatility. With millions of pieces for sale, iStock is one of the better choices for those in need of lots of online, royalty-free, low-resolution images for websites or e-newsletters. The iStock website can be a bit challenging to users who prefer to browse without a keyword in mind, as it is difficult to just browse without first typing in a keyword. Overall the search function via keywords is easy and intuitive for the reader. This is a good service that offers great images at a good price. iStock is one of the most commonly utilized online stock image companies these days for graphic designers and small advertising agencies due to their low prices, affordable subscription plan and versatility. With millions of pieces for sale, iStock is one of the better choices for large quantities of online royalty-free content, especially if low-resolution is acceptable. Until December 31, 2018: Save 25% on ANY new subscription with coupon code ISTOCK25; Click here to take advantage of this offer! Here are our top picks for best traditional media sites. From historical photos to celebrity photo bombs. 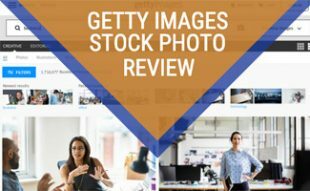 Getty Images offers one of the biggest databases of stock media, especially for premium, conceptual, high-resolution and editorial images. If you are working in traditional media such as print, TV, billboard or radio, high-resolution creative will be mandatory in designing high impact campaigns and no one offers more exclusively licensed, high-res art than Getty. Getty offers a wide array of royalty-free media with over eighty million different high-design, conceptual pieces for sale. It is also a good option for multinational companies and global advertising campaigns as they have websites in many different languages that will help you navigate usage laws across country borders. The website is easy to search and navigate for high-concept imagery, videography and sound. 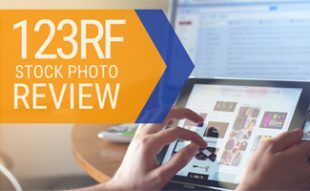 123RF offers one of the most affordable subscription programs, with low-resolution photos starting as low as $1 per photo. It’s a great alternative to many of the big stock photo services and they have a wide-selection of over 110 million images video, audio, vector files. You can expect high-quality photos for the price too. 123RF has beautiful lifestyle, editorial and non-cheesy photos making them an even better value. They have live chat and phone support should you need it and an easy to use checkout process. The one downside we found from 123RF is the search results didn’t have many filtering options, which isn’t ideal if you have something specific in mind, but their photos are all so great you might not need them. Subscriptions start at $29/month for 10 images per month. You can save 31% if you pay annually. We are not aware of any 123RF coupons at this time. Shutterstock is a good resource for high-resolution images, especially for large-format designs (billboards and other print media). They offer a variety of subscription plans to meet various user needs, making its pricing model more flexible than some other high-res photo options. With Shutterstock’s huge library of 70 million images and files, you won’t be disappointed in the selection. While they do offer stock photos, videos, illustrations, and vector, they do not have audio files in their database, making this another impediment from a top ranking relative to Getty Images, which has all forms of media in their library. Shutterstock would be a great choice for agencies, publications and companies with the need to use high-quality photos and illustrations often. At this time we are unaware of any Shutterstock coupon codes. This table is a resource that compares the most popular stock photo websites. Use it to help you make an informed decision when deciding on a stock photography resource. If you click on a link under the company name in the header (or footer), you will be taken to that company’s homepage to explore further. Adobe Stock was previously known as Fotolia by Adobe. In 2015 Adobe, the popular graphic design software company, released their own version of a stock photography library with more than 90+ million photos, illustrations and vector images available. You can also submit your images to sell which makes sense and is convenient since they cater to the creative community and have a built-in network of graphic design and photographer customers already. They recently added video files to their library but still don’t offer audio files. Adobe Stock is still in the early stages, so we will have to give them more time to see where they fit in our rankings. Alamy has one of the largest selection of images and, with more than 80,000 new stock images added daily sourced from around the world from 173 countries. The result is a wide-range of culturally diverse photos from all geographic landscapes and areas giving you more than 90 million high-quality images to choose from. Alamy only sells per image so no subscription plans are available and the price varies depending on the size and the rights of the photo. You can choose to have it licensed which can expensive depending on what you are using it for or do a rights-managed option which is limited use and time for a photo. Much like other online shopping sites, it’s easy to check out without an account, but the number of options can be a bit overwhelming if you are new to stock photography. $19.99 per image (for personal use). No subscriptions offered. Use code IMAGES20 to receive 20% off all Royalty Free Imagery. Click here take advantage of this offer! Can Stock Photo adds 25,000 pieces of stock media to their site every day and offers a good value for low-resolution photos. They also have video. However, they do not have audio files, and their library is much smaller than many of their competitors, but if you can find what you are looking for, this could be a great option. With one-click downloading and easy checkout without creating an account, it’s a great choice for quick and easy purchases. Corbis has been a widely known and well-respected stock image provider with one of the largest database of images available (more than 100 corporate image partners and 30,000 photographers). However, they were acquired by Visual China Group (VCG), and as a result, they have migrated their content library to Getty Images effective May 2, 2016. This is good news for you since Getty is our #1 pick. Corbis is no longer operating under its brand name. At this time we are unaware of any Corbis coupon codes. Since 2000, Dreamstime has been providing a huge selection of high-quality digital images at affordable prices with a goal to connect image sellers with buyers. Their community-based site gives more than 13,000,000 registered members access to photos submitted from 200,000+ photographers from around the world. All images are reviewed and approved by experienced editors to ensure the quality control. In addition to photos, they have a library of free images, clip art and vectors and have a number of incentives for photographers and users alike. They also offer monthly plans or pay per photo credit packages. Foap is a fairly new service (and concept) that allows anyone the ability to sell photos taken from their iPhone. Users can download the app, take a photo, upload the photo to the Foap market and list it for sale. New to Foap is a Brand Brief which allows marketers to submit their needs for lifestyle and product photos, then task the Foap community to create content for them based on the guidelines. Then you get to pick your favorites and use them for your business. Before your photo is listed in the marketplace, it must receive an average rating of 2.6 or higher from 5 other users. Photographers earn $5 per sold photo. For users looking to purchase photos, they start at $10 per photo. This is a photo only site, no vector, no audio, and no video. Their pricing is super straightforward, $10 per image (or down to $7.50 each if you buy in bulk). Since 1996 PhotoSpin has believed that all creatives should have quick access to good content at an affordable price. PhotoSpin’s pricing is based on a subscription model. You pay once for access and then can download anywhere from 500-1000 images per month. Claiming to be the first photo subscription service, Photo Spin has 2 subscription options: Plus starts at $429 a year for up to 500 3600px images and SuperPlus which starts at $649 per year for 500 images at 5100px. The only difference in plans is the quality/size of the photos, but each gives you the same access to photos and similar increments of plans (500, 750 or 1000 photos per month) for a yearly subscription. Our readers can get 10% off PhotoSpin's annual subscription with the promo code WeRock10.Click here take advantage of this offer! “Created for and by online people” Yay Images is a relatively newer company and provides unlimited streaming of online images. Streaming, meaning you can use them on your site but you can’t download them to save for offline use (or to make modifications to). There is no downloading or uploading for YAY Images. (Yay!) Instead, you receive a link that you put wherever you want the image to appear. They do however allow you to make simple edits to photos within their site and will even host them for you forever (even if you cancel). Their visual search allows you to drag and drop a photo you are looking for, and it will search for something similar (like Google image search). We tested it though, and it’s not all that accurate. One of the other downsides to Yay is they only offer subscriptions (no single image purchases are available, unfortunately). Plans starts at $9.90/month with 1 download and additional photo downloads for $10 each up to $99 per month for unlimited streaming and up to 1,000 downloads. With so many details listed in the table above, it can be difficult to understand exactly what each term refers to. Below we have outlined each of these terms along with a definition so that you can utilize the table more appropriately to match your stock photography needs. Audio: As with video clips, audio clips are not available on all stock photo websites. Unlike video clips though, audio needs are often very specific to the intended use which is why it is not being pursued by some of the stock photo providers. Creative license: Photos that can be used for selling things. Usually these photos are staged by a photographer, art director and often time involve people or talent. Credits: While many stock photo sites are subscription-based, meaning you can download an unlimited (or specified) amount of photos in a certain time period, some you will have the option to use credits to purchase images instead. Depending on the type of photo and license it will vary. Digital marketing: Any marketing that is online including banner ads, social media graphics, email and website, etc. DPI (Dots Per Inch): The number of pixels per square inch for a file or graphic. Helps determine the resolution. Editorial license: A photo that may be used for anything non-commercial like a blog post or presentation. Illustrations: Illustrations are images that are computer generated or artist drawn rather than photographed. Illustrations cost more than regular photographs due to the amount of work that goes in to creating them. Images: Companies that offer photography media for use on websites, print or other uses. Lowest Price per 3 MP Image: The cost of the lowest price image available for a standard size of 3 Megapixels to allow apples to apples cost comparison between providers on a per image basis. Lowest Price Annual Subscription Plan: The cost of the lowest priced annual subscription plan offered to allow apples to apples cost comparison between providers on a yearly cost basis. Note that different companies offer different download options (# of images per week, month, etc.) which should be considered along with the needs of the purchaser. Media usage licenses: What a particular photo may or may not be used for (see creative licenses or editorial licenses). Pixel: A unit of measure used in digital photos. Resolution: How many DPI a photo has. (Usually 72dpi for Web and 300dpi for print is standard). Royalty Free Images: Images or other pieces of media that can be used without having to pay for royalties with each incidence of use. Stock photography: Photos that are taken by others for resale or reuse by others. Subscription Service: Programs that allow users to pay a set fee per month or per year in order to receive a designated number of credits, daily downloads or total number of downloads. Subscription services are generally the best route to go for big companies, advertising agencies, designers or other individuals looking to download large amounts of content. Total Number of Stock Items: The advertised number of stock photos or other media offered in a company’s data gallery. These numbers fluctuate on a daily basis due to the addition of new media. Traditional marketing: Any type of marketing that is non-digital like TV, Radio and Print. User Submissions Accepted: This refers to the ability for photographers, videographers, designers and other creatives to be able to sell their own images through that company and receive compensation in the form of monetary fees or website credits. Vector Images: Vector images are images that utilize geometrical primitives. Vector images are generally utilized for printed projects because they can be resized without being distorted. These images are costly to use but often the best choice for printed media or for promotional use. Video: Not all stock photography companies offer video clips as part of their services; however, the idea is becoming increasingly popular. Video clips can vary in size and quality and generally cost the most of all media forms available on stock photo websites. From time to time you might stumble upon the silly stock photo that makes you laugh (at least we do). Here’s a compilation of some stock photo clichés along with song (almost as cheesy as the photos). Which Stock Photo Company Is Right For You? Finding a stock photography company to suit your needs can be difficult depending on what you intend to utilize your downloaded media for. Aside from ensuring that you find a company that will fit within your budget, it is also important to find a legitimate company that details licensing requirements for each image or piece of media they provide. Learn more about stock photos in our royalty free images article. What is your favorite stock photo provider and why? FeaturePics is also one of the original micro-stock photo banks, online since 2007. You need to put in your “cons” section for Shutterstock….that they have a sleazy and unethical “auto-renewal” feature that no one ever notices when they sign up…the onus is on the customer to find this little button and turn it off. The minute you download the last of the images you paid for in your plan, they automatically bill you for an additional plan. And many online customer reviews state that even when they DID notice the button and turn it off…they were still billed. Have been using adobe stock, depositphotos, istock….and many others. The worst one is adobe stock. The search engine…user friendliness, bugs, speed…customer service are terrible. I find it weird as they have actually bought fotolia and Dollar Stock Photos which were great. The biggest issue is the never helpful Adobe customer service (robots from India). The best I think would be shutterstock and Istock. I always find what I am looking for using their search engine. Problem is they are quite expensive. Depositphotos will be a big player sooner or later. At the moment they have got great pricing and usually the same photos as Adobe Stock. Peter thanks for sharing your personal experience with us! Great post, some of the stocks are way too expensive. Theses firms should have bit normal fees with single domain use, so small business can avail stock images services. Hi Jen, we will add Raw Pixel to our list of companies for potential addition in our next audit. Thank you! I have been posting photos with Dreamstime for about four years and have 1338 images on file. For some reason, car photos seem to sell better than others. I attend several regional car shows each year so obtaining pictures is no problem. I take my time and carefully edit each photo using Adobe Photoshop elements 14. Their web site has improved substantially and I believe it is easy to navigate. Uploading is a snap. They are easy to start with because they have no test unlike some others. All they insist on is acceptable images. I would recommend them to anyone who wants to start in stock photography. Shutterstock are thieves – I signed up and upon billing removed their auto-renewal feature – they turned it back on and drilled my account for as much cash as they could get. My best images find their buyers at dreamstime and istockphoto. Shutterstock in particular seems to be very incompetent or random on approving photographer’s images for sale. Sometimes they would approve my most residue garbage microstock and reject best-sellers, while at times they would get it right. I don’t know. I stopped offering my production on shutterstock and generally enjoy selling with istock and dreamstime. istock and own satellites (subscription type) is in the process of lowering (visibly after 2014) and will soon become a world unknown, shifted from stocksy, dreamstime, depositphotos, pixta! and other lowcost microstock banks. I’m profiling in this business since 2002 and the top ranking is not correct. Our top ranking is correct in our eyes. We reviewed the companies and we chosen who we think is the best. It’s ok if you disagree and we respect that. We believe these are the best and we stand by our rankings. Thank you for your understanding. My apologies for our numbers being off for Shutterstock. I have updated accordingly. On their website it says over 70 million, not 75 million. So I have put that in the table and article. I’m sorry, I’m not quite sure I understand what you are saying. Watch out! While ShutterStock offers good deals sometimes, their website is super slow and full with “errors”. Which means, you won’t be able to download the amount of images you were hoping for (unless you have nothing else to do, and can spend most of your time just searching and downloading very slowly.) Most of the “error” messages are beautifully predesigned screens (which means they are well aware of them). I actually think these “errors” are part of their business strategy to make more profit, yet it is very unfair for both the photographers and image buyers. When you evaluate a deal, just calculate it with about 100-150 images, instead of the 750 is in the offer. The most common errors you will experience: you won’t be able to save an image in your lightbox on the thumbnail page, or on the image page, only at the preview page. This way you waste a lot of time (instead of being productive.) The other “error” you will see all the time when it says “Your image should begin downloading immediately”, but the little circle icon will just spinning and spinning “forever”. Also very common is the “Sorry, something went wrong” screen. All of these will drastically slow you down. The result is less images for you, more profit for ShutterStock. The customer service will promise you they call you back, but they never will. As for the image quality, my evaluation is 90% weak, 9% OK, 0.99% good, 0.01% agency (or designer) quality. Thanks for comparisons, very comprehensive. Have you tried GraphicStock? Any tips for it? We have not tried GraphicStock, sorry. Let us know if you try it and how you like/dislike it! Thanks for the post! It’s one of the most comprehensive reviews of stock photo websites I have seen. A few months ago we started Dashmote to try and fix the problem of always choosing between different stock image providers, by aggregating multiple providers in one search. We currently have on our platform content from Depositphoto, IngImage, YAY and Panther Media. Instead of using a subscription model, we tried to make purchasing as transparent as possible and negotiated with each of the providers so that you are able to buy images on-demand with no subscription or credits system. Thanks for mentioning your site to us. We’ll consider adding Dashmote in our next audit for this article! Have you ever reviewed stockafe? No we have not. Have you used it before? What did you like/dislike? Stockafe is a newer stock agency (November 2014). 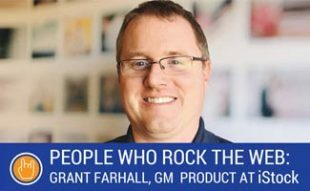 I’m a contributor who eventually joined the Stockafe team (full disclosure). I signed up originally in large part because of their goal of trying to change the “race to the bottom” philosophy that has taken over the industry, with an emphasis on treating both buyers and artists better. The site manager puts a lot of emphasis on keeping things as easy as possible for buyers. One thing that’s different than many sites is that when buyers purchase prepaid bulk discount packages, if the full balance isn’t spent within the discount period, the discount pricing expires but the balance never does, and can be used for individual purchases or rolled over to a new bulk discount purchase even after expiration. Some of the artists also participate in an opt-in “pay what you want” pricing option on exclusive content. Pre-isolated images with transparent backgrounds (PNG) are available, and video content will be coming soon, as well. I have 600+ downloads left on my subscription. Is it of use to anybody? I can share the details for $40. This table seems to be an older version. The columns referenced are not visible. For the table you must scroll to the right for the columns to appear. The table was so large that we had to put it this way on the page. Sorry for the confusion. Let me know if you need any further help! Don’t come near Deposit Photos! I had very bad experience with them as to automatic subscription renewal. They scam their customers where they don’t tell you in your order confirmation and in the process of paying that they’ll charge you again automatically the following month. Then, when you find out about that they’re saying that there’s no way they can cancel this charge and refer you to the website to remove the automatic charge for the following month. There’s no place where you can cancel it but only when asking support to do this. Just think about all the money they’re doing for this scam where they’re getting thousands of new customers money every month automatically renewing their subscription without knowing about this. ImgBundle is also worth mentioning. They sell royalty free stock images with extended license in big, cheap bundles (for only $ 9 per bundle). Looks like ImgBundle is still fairly new since they only have one bundle available. We will consider adding them once they have more bundles. Thank you for mentioning them to us. What about the number of audience/viewers allowed? What about geographical limitations? There are many hidden clauses that you don’t address. What about sharing the stock within the various media departments of a corporate? Those are all very good suggestions. It’s difficult to cover every single aspect of stock photography companies and what they offer. This article gives our readers a starting point on where to look since what is included in this article are some of the main features and key points for the companies. I am thinking of subscribing to iStockphoto Essentials, as their annual sub giving 750 pics a month suits my needs. To spread the cost, I was looking to do the pay monthly option – £99 or so. What’s to stop me from subscribing to the annual scheme, pay for a few months until I’ve got all the pics I need and then canceling the monthly payment? Am I tied into the 12 months once I start it? I couldn’t find anything in the small print saying it would be against any rules and they’d come after me! If I were to subscribe just on a month by month basis, I only get 250 pics a month and it’s about 30% more expensive. Any thoughts or advice? That’s a valid question and if you are not seeing anything in the fine print about doing this then I don’t see why not. As long as you can get a refund for the annual subscription pro-rated for what you do not use. I think they probably assume that most people will use the subscription on an ongoing basis and not need to download more than 250 photos per month. Hope that helps and let us know if you have any other questions! Thanks Sadie. I wouldn’t even need to apply for a pro-rated refund as I can pay monthly over twelve months (12 x £99.92). I could just stop the payment going out of my bank account after a few months. iStockPhoto support have told me that once I’ve started the annual contract I can’t pull out of it, but whether they’d actually chase me for breaking the contract if I stopped paying, I don’t know. As I said, can’t see anything about that in the small print but will take another look before making the decision. What about Newscom? Any tips for them? Hi Jennifer, we haven’t done any research on Newscom. Perhaps we can consider adding them in our next audit. Which of the sites pays the highest royalties to contributors? Hi sooshi! Do you have any specific information that you found to be inaccurate? We strive to keep our information as up to date as possible and rely a lot on our readers feedback.